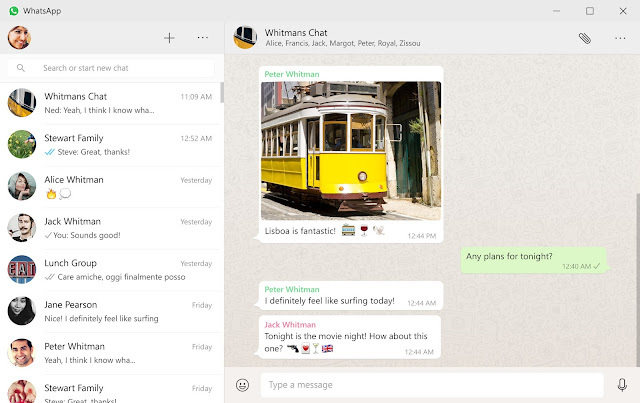 Talk about the largest Instant messaging app you definitely will make WhatsApp the largest and influential app, for sometimes now we have been able to use our instant messaging on computer using either your Chrome or Mozilla, but now WhatsApp is saying its time to move to the desktop native application. Now you can install WhatsApp on your PC or Mac; However you still need to scan your bar code in other to synchronization your contacts to the Desktop app. There are enormous benefits of using the desktop app, aside from great improvement that has been introduced It also offers you native desktop notifications, better keyboard shortcuts, and lots more. The app is available for Windows 8+ and Mac OS 10.9 and higher. Where Can I Download WhatsApp for PC ? >> Scan the QR code using the WhatsApp app on your phone and you are good to go.